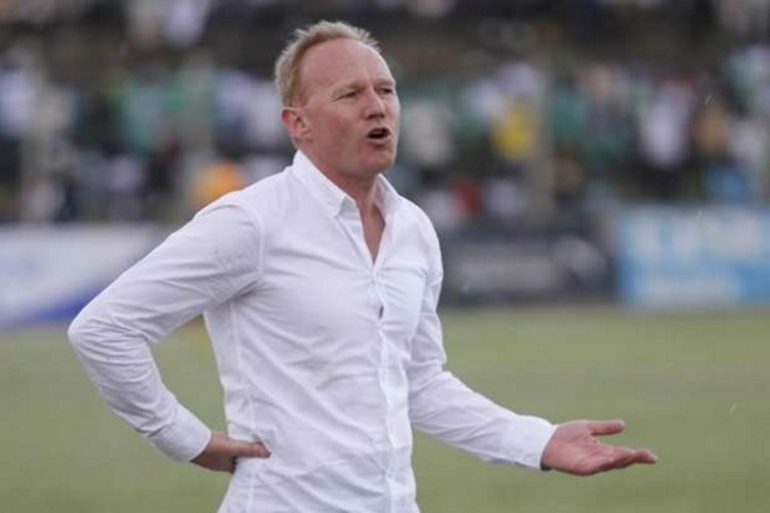 Former Gor Mahia tactician Frank Nuttall has applied for the vacant AFC Leopards coaching job. “It would be an excellent challenge and opportunity to re-position them at the forefront of African football,” Nuttall said. Leopards, who finished a dismal seventh in the just ended Kenyan Premier League season, are without a head coach, having parted ways with Argentine Rodolfo Zapata due to poor performance. The 12-time KPL champions finished the 2018 season trophy-less. The team has now gone twenty years without winning the KPL trophy and the fans are almost losing hope. Nuttall left Gor Mahia in 2016 after guiding them to back to back KPL titles including the 2015 crown which they delivered unbeaten. He then joined Zamalek SC of Egypt as an assistant coach but was dismissed with less than three months on the job. His African stint took him to Ghana where he coached Hearts of Oak for one season from 2017-18.